The heritage value of the Walka Water Works, Maitland, extends well beyond the bricks and mortar of the former pumping station and reservoir. The place has outstanding landscape beauty and has significance as ecology altered by progressive human habitation. This project arises from the place’s particular significance as a bird habitat and the initiative of the Maitland City Council and the Hunter Bird Observers Group in establishing a viewing platform on the western edge of the reservoir. 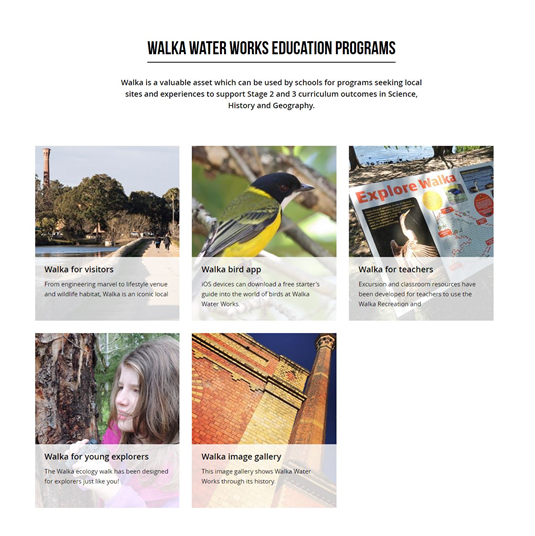 This project has developed both on site and multimedia online resources which are discussed and illustrated in this project nomination.The heritage value of the Walka Water Works, Maitland, extends well beyond the bricks and mortar of the former pumping station and reservoir. The place has outstanding landscape beauty and has significance as ecology altered by progressive human habitation. 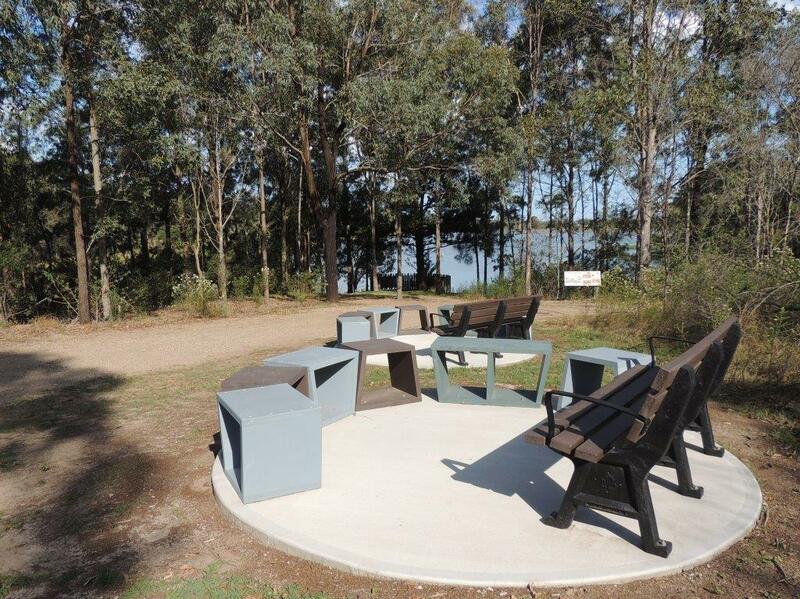 This project arises from the place’s particular significance as a bird habitat and the initiative of the Maitland City Council and the Hunter Bird Observers Group in establishing a viewing platform on the western edge of the reservoir. This project has developed both on site and multimedia online resources which are discussed and illustrated in this project nomination. They include: · Construction of a viewing platform;· Installation of seating for 20 people to facilitate small group discussion;· Brochure guide for schools and visitors;· Signage investigation, content, design; · Sculptural presence on the site through the installation of a series of marker posts for wildlife viewing areas; · Educational web based resources;· Production of the Walka Bird App, a digital education resource.